West suburban choral organization Spirito! Singers honors radio personality and longtime Spirito! supporter Terri Hemmert at its November 3 gala. Learn more about the 10th anniversary “Autumn Voices” event and the important work Spirito! does in our communities. WXRT-FM radio personality Terri Hemmert is a woman who needs no introduction. 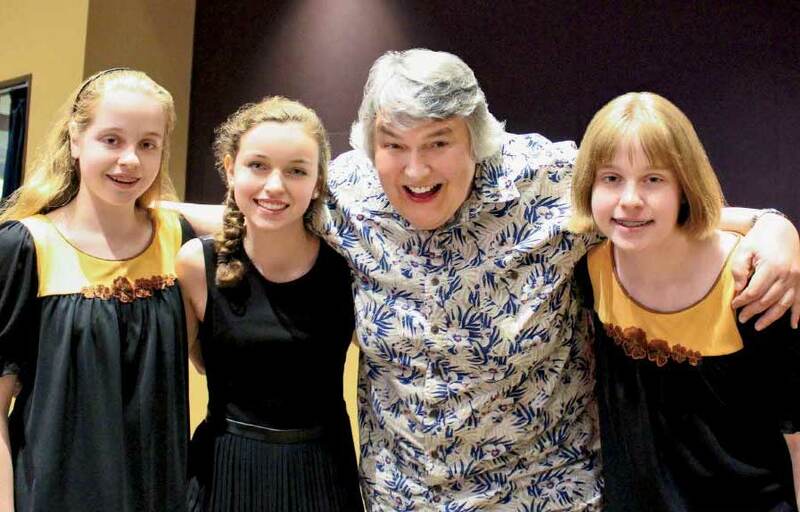 A longtime role model for women and supporter of music education, Hemmert has volunteered throughout the city for decades to support various endeavors that bring the joy of music to young people. On Saturday, November 3, Hemmert will be honored for her contributions with the Spirito! Singers 2018 Service Award. Presented as part of the nonprofit organization’s 11th season “Autumn Voices” gala, the award is a testament to Hemmert’s ongoing support to bring music to young people in the Chicago area. A Radio Hall of Fame inductee, Hemmert is a longtime fan of Spirito! Singers endeavors to unite middle school and high school students throughout the Western Suburbs who share a love of choral singing. Spirito! chooses its annual service award recipients based on their impact in the community, how they give back through service, and how they positively influence others. In addition to her well-known work on WXRT-FM and at events throughout the city, Hemmert has served on the board of directors of the Peace Museum and Facets Multimedia. She teaches the history of rock and soul in the broadcasting department of Columbia College Chicago; volunteers with Inner City Teaching Corps and Latin School of Chicago; works on music education programs with the Chicago Symphony Orchestra; and is an active member of her church, not to mention a member of the choir. As the awards and accolades are being choreographed, Artistic Director and Founder of Spirito! Singers, Molly Lindberg, reflects on the organization she created a decade ago. It’s that team mentality that has taken this organization from 50 singers to 230 local singers. Spirito! began in 2008 with 50 local high school girls who came together because of their passion for music. Since then, Spirito! 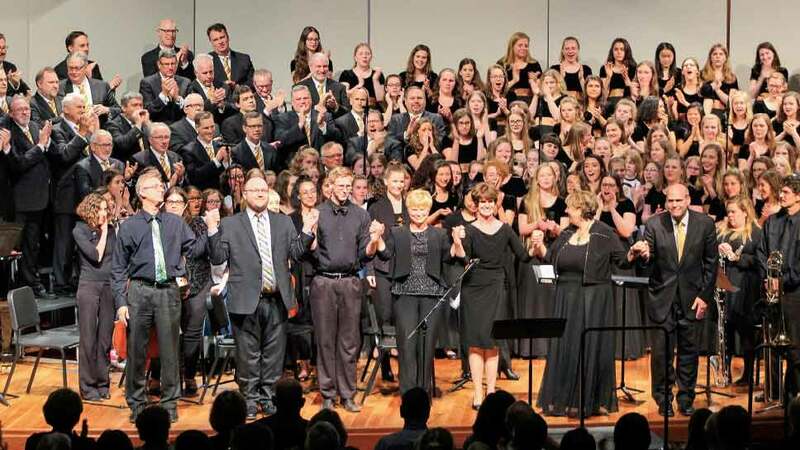 has grown into what it is today—three choirs whose mission is to educate its singers in music theory while developing their singing talents and fostering a love of service. Supported by both tuition and fundraising, Spirito! pulls from 60 schools in 30 different suburbs. The participants practice in three different locations—Downers Grove, Elmhurst, and La Grange—but come together for performances throughout the year. When Spirito! began, Lindberg quickly realized that the community could benefit from a younger choir which could give its participants a very solid music theory and music education background. Weekly rehearsals consist of repertoire rehearsal, choral pedagogy, and 30 minutes of dedicated music theory classroom instruction. Five levels of music theory are taught. Students are placed in the appropriate level of theory based on assessment testing. It is also required that the members of Spirito! be enrolled in their school music ensemble. There will also be a raffle, silent auction, mini-live auction, and a live auction throughout the evening. Guests will enjoy a sit-down dinner while an auctioneer offers bidding opportunities. Some auction items include a trip to Napa Valley; a trip to Las Vegas with Cirque du Soleil; Beatles Love Show tickets; a Behind-the-Scenes tour of WXRT and lunch with Terri; and a CBS TV tour with Rob Johnson. The ever-popular gift card frenzy will also be available this year. The Spirito! Singers ensembles will perform throughout the evening before the final direct donation portion of the event called Fund the Need. While the night is filled with many wonderful, personal touches, the community service component is at the forefront. Each ensemble performs services throughout the year at no charge, but the girls also spend time helping various charities. For more information about “Autumn Voices,” visit spiritosingers.org.